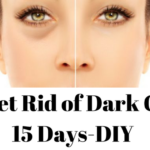 I have been battling with dark circles ever since I can remember, I have tried almost all home remedies that one can probably think of, have used tons of under eye creams but none of them helped. I have got all my all blood tests done, I am not anemic but still my dark circles refuse to go away. I am the only one in my family who has dark circles so it has got nothing to do with my genetics also. They sometimes become very light, sometimes they become very dark but they are always there. 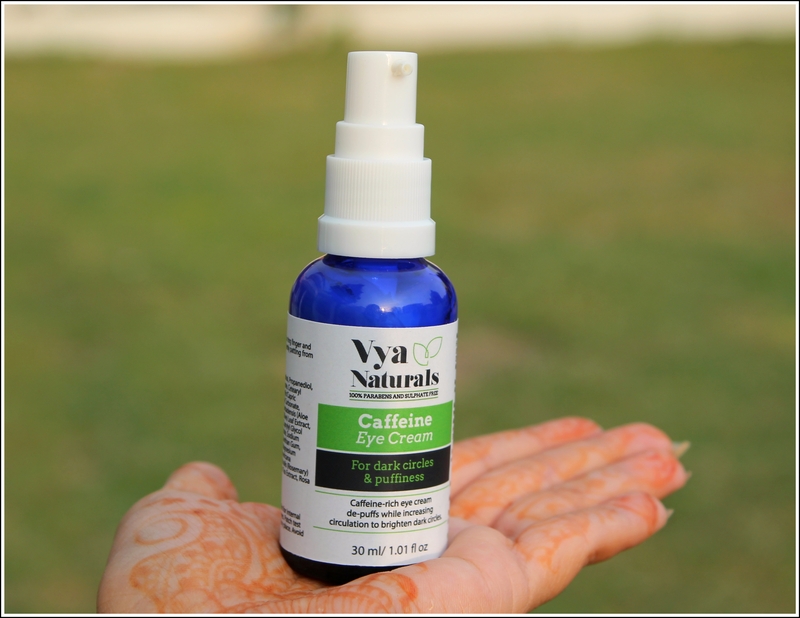 Recently Vya Naturals sent me their Caffeine Eye Cream and I was pretty excited to give it a shot because caffeine really helps to reduce dark circles. 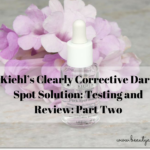 I have been using it religiously for the past 20 days and today I will be sharing my review with all of you. 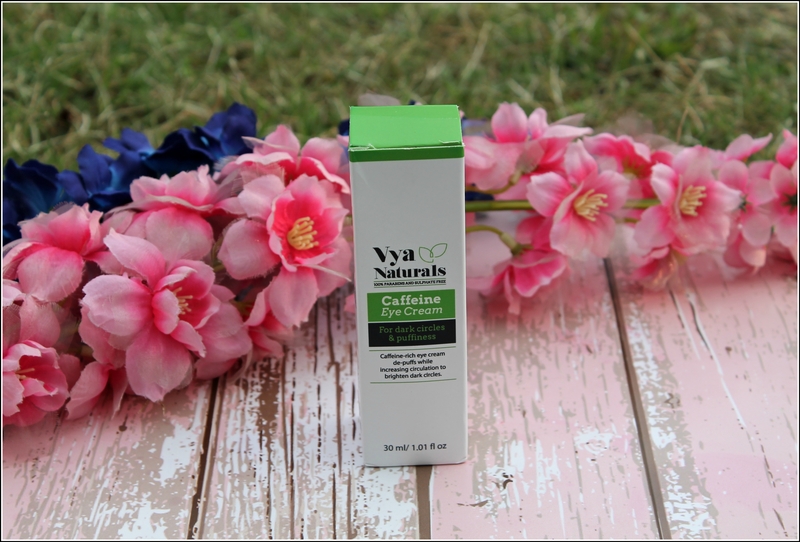 Vya Naturals Caffeine Eye Cream reduces puffiness, dark circles, fine lines and wrinkles in the delicate skin around the eye area. Other key ingredients include oils of rosemary, avocado and rosehip which help in moisturizing the under eye area and delaying the formation of fine lines. To apply, take a small amount using your ring finger and apply under the eye area by gently patting from inside to outside. It retails for Rs.750 for 30ml but it currently on a discount on Amazon and you can get it for Rs.599 . Click HERE to buy. 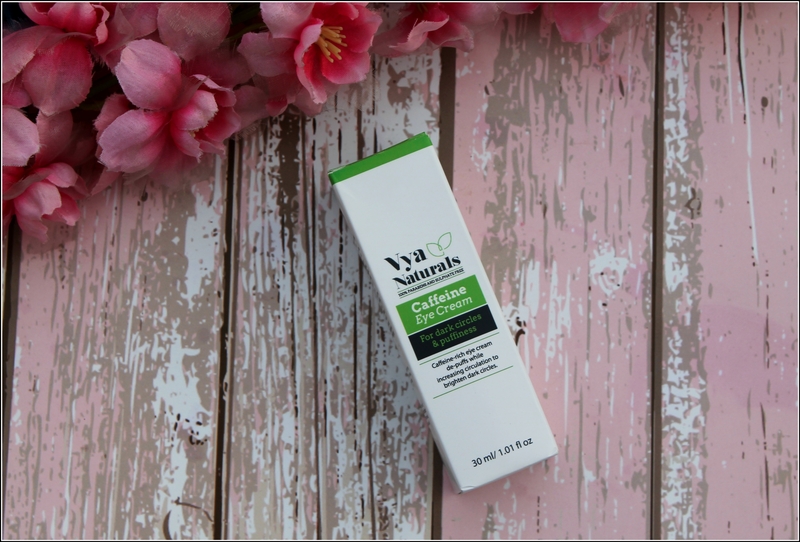 The Vya Naturals Caffeine Eye Cream comes in a white cardboard packaging with all the details about the product on the box itself. The cream comes in a dark navy blue coloured glass bottle with a pump dispenser. I love products that have a pump dispenser as you can dispense just the right amount of product that you want to use and it is much more hygienic too as compared to products that come in pot containers. The glass packaging looks pretty cool and is travel friendly too. I was travelling a few days back and I slipped this one in my handbag and it didn’t leak at all and was easy to carry around. The cream is white in color and the consistency of the eye cream is very thick. It does not have any fragrance whatsoever and it does not sting the eyes at all. Few months back I tried the Aroma Magic Under Eye Cream and it had such a strong fragrance and it would make my eyes watery every time I used it but this cream does not sting your eyes at all. 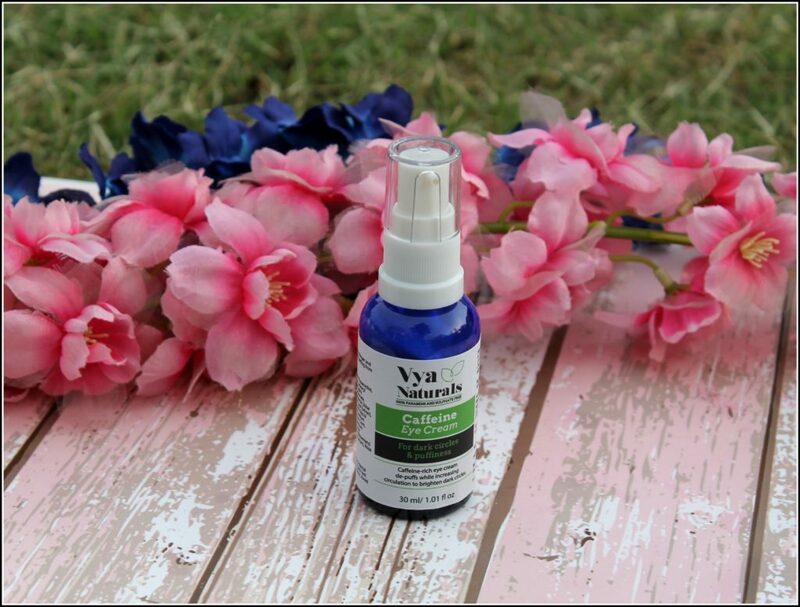 I have been using Vya Naturals Caffeine Eye Cream religiously for the past 20 days twice a day. I pump out just the tiniest amount of cream, rub it between my ring fingers and then I massage it to my under eye area. The cream is heavy in texture but once you start massaging it to your under eye area it gets absorbed into the skin within seconds and makes the area so hydrated and nourished. 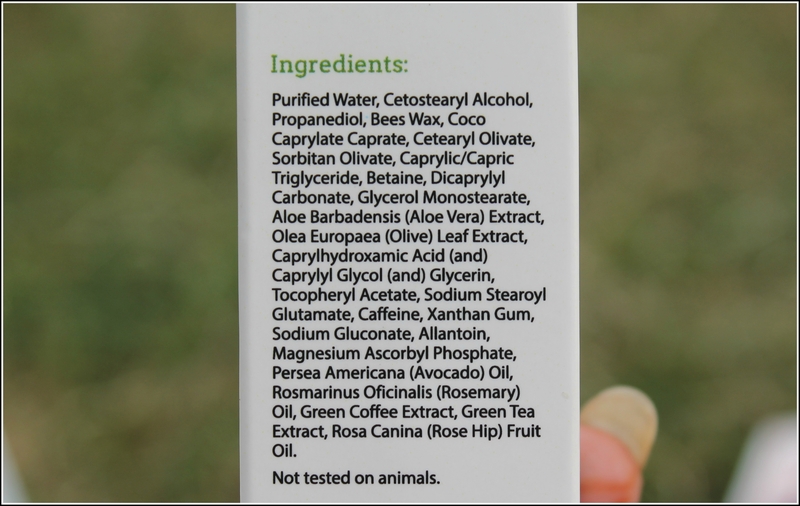 You require just a pea size amount of the product and I am sure this 30ml bottle is going to last me 4-5 months easily. The cream has a list of beneficial ingredients like green tea, green coffee extracts, oils of rosemary, avocado and rosehip which help in moisturizing the under eye area and delaying the formation of fine lines and wrinkles. 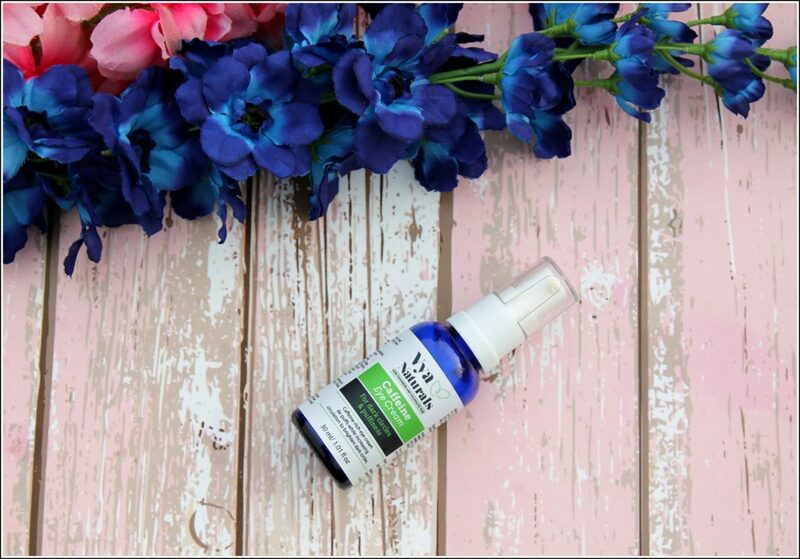 Rosehip Oil is great for delaying signs of aging and regular usage of this eye cream will definitely help to remove fine lines and wrinkles from the under eye area. Another main ingredient of this eye cream is caffeine. 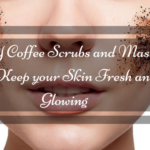 Caffeine can help tighten the skin, smooth puffiness, fight free radicals and also helps to reduce under eye dark circles and wrinkles around the eyes. Caffeine promotes healthy circulation and decreases inflammation that results in dark circles and under eye bags. I use this cream before applying my concealer and foundation and believe me guys my under eye area hasn’t looked so good in ages. This eye cream makes the concealer go on so smoothly, it blends in like a dream and it does not crease at all throughout the day. I have seen a considerable improvement in my under eye area since I started using this eye cream, my dark circles have become light in colour, means from being dark brown they have gone to light brown. I have also seen a tiny bit of reduction in the fine lines too. It is too early too comment as to whether I will be able to get rid of them completely but I am really hopeful this time. This is the first time that I have seen a improvement in the dark circles and I think that if I keep using it continuously for 4-5 months, maybe I can get rid of them completely. I will definitely give you an update of this eye cream after using the whole bottle. So guys if you are looking for a decent eye cream that will help you to get rid of dark circles and fine lines, do give this one a shot. I am sure you won’t be disappointed with this product. Does not have any fragrance at all. 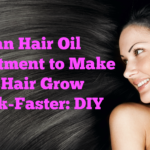 Has a lot of beneficial ingredients. Helps to lighten the under eye area. Can’t find any con as such. I would give it a 4/5 right now. 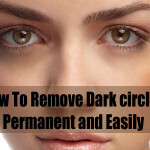 If I am able to get rid of my dark circles completely I will give it a 5/5. 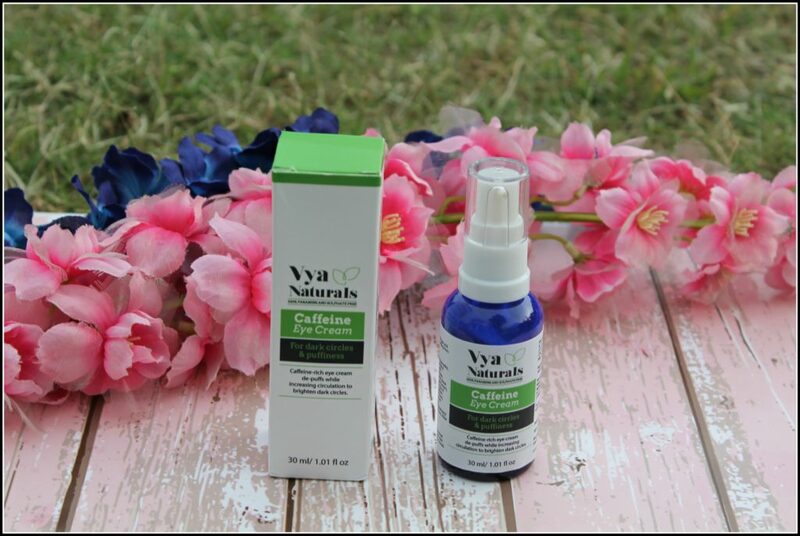 Would I recommend the Vya Naturals Caffeine Eye Cream to anyone? Definitely, I would recommend it to everyone who has dark circles. 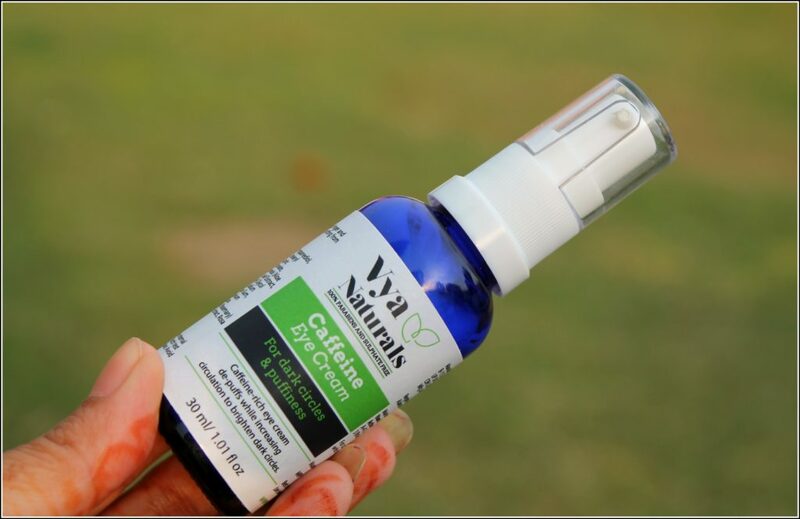 Will I repurchase the Vya Naturals Caffeine Eye Cream? 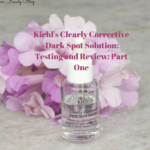 If I am able to see my dark circles completely fading off with this one, I would definitely repurchase it.